NOFFZ Technologies, an industry-leading developer of test solutions and services, and National Instruments today announced a technology partnership to provide the NI Vehicle Radar Test System (VRTS). The development of this unique test system is a huge step ahead to solve engineering challanges for vehicle Radar testing in the frequency range 76 – 81 GHz. NI VRTS is a groundbreaking tool for integrated Advanced Driving Assistance Systems (ADAS), which allows our customers to develop better products and to set new standards for EOL production test integration. 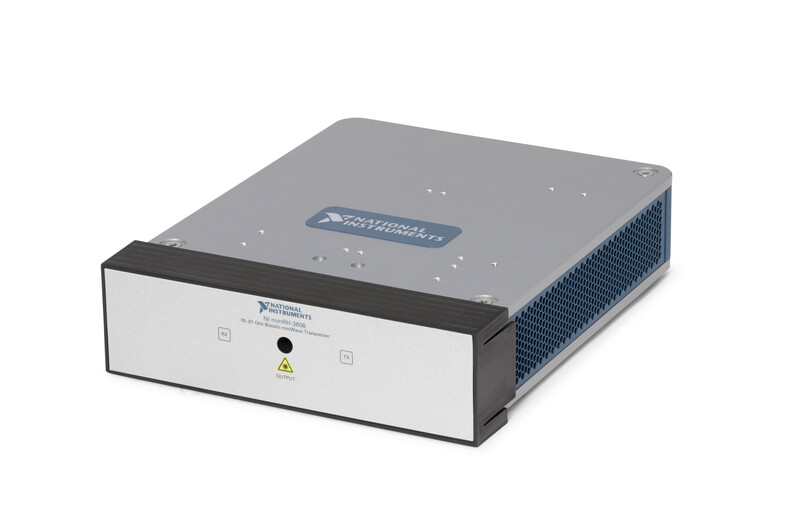 VRTS combines NI’s mmWave radio head technology, specialized delay generation hardware, vector signal transceiver (VST) with user-programmable FPGA and application-specific software. 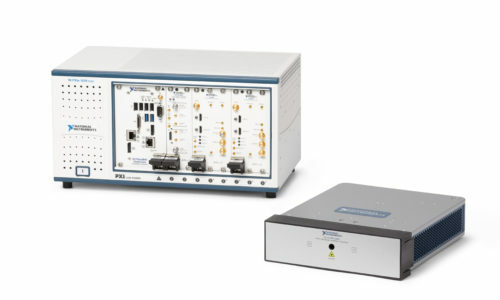 Unlike traditional test systems only capable of basic RF measurements, the VRTS can operate as both a 76 – 81 vector signal generator/analyzer designed to measure RF characteristics and an object simulator designed to test functional behavior. Using a more comprehensive approach to radar test that includes both traditional and Hardware-in-the-Loop (HIL) test techniques, engineers are able to deliver more robust autonomous driving technology to comply with evolving regulatory requirements. Based on the NOFFZ Universal Tester Platform (UTP), the NI VRTS is integrated into a fully automated test solution for production test. The new Radar Adapter and UTP 5060 End-Of-Line test system is able to test the radar sensor and its multi-beams in different angles and different axis. With the help of portal systems or collaborated robots, the Radar Sensors Test Solution can be automated for high volume throughput within a small floorspace footprint, which is important for production. said Ludwig Mair, Business Development Manager at NOFFZ. 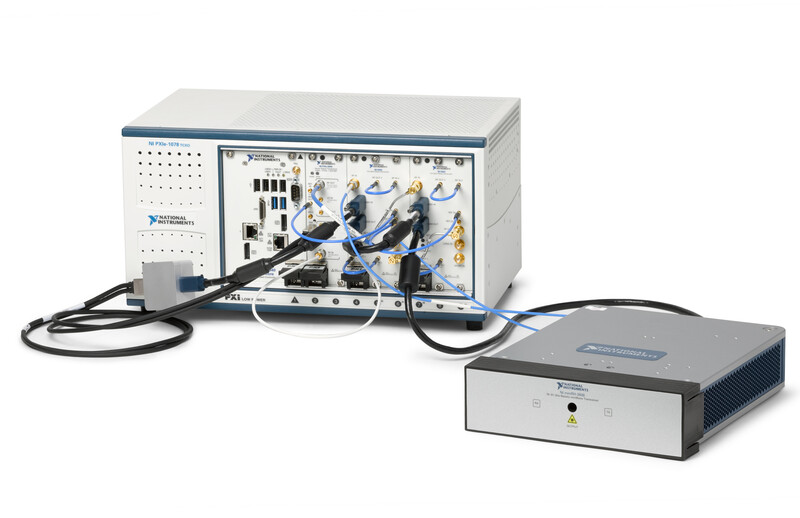 The NI VRTS is a modular system, able to provide automotive radar obstacle generation and measurement. 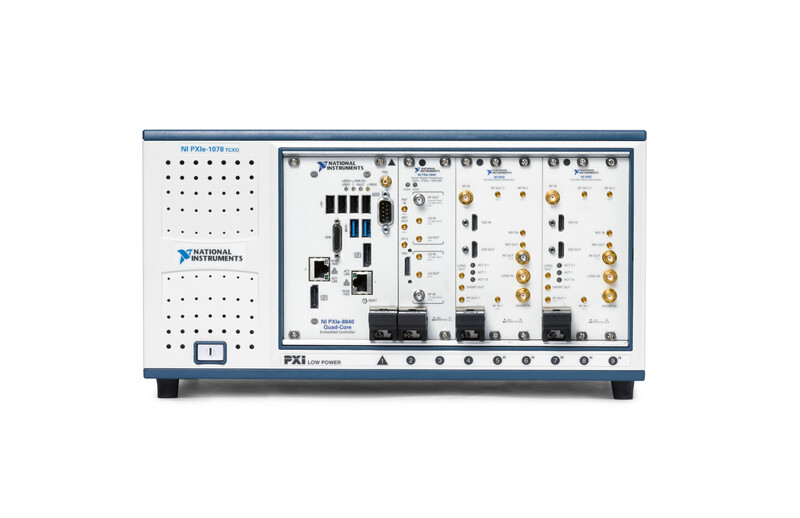 With the advanced synchronization capabilities of PXI combined with LabVIEW’s ease-of-use, it allows customers to simulate even some of the most advanced sensor fusion environments combining GNSS, radar, cameras, and LIDAR. The integrated Vector Signal Transceiver (VST) provides two critical functions to the system: radar measurements and obstacle emulation. Using the VST’s onboard LabVIEW-programmable FPGA, engineers can simulate complex movements of a radar obstacle. It allows simulation of up to 8 independent and dynamic objects. Obstacles appear at a range from 4 to 300+ meters with a range resolution of 0.1 meters. In addition to range, users can dynamically set radar cross section (RCS) and velocity in the software. It is the perfect tool to perform measurements including radiation pattern, effective isotropic radiated power (EIRP), phase noise, spectrum occupancy, beam width, chirp demodulation, and more. VRTS can be used to test both hardware and software sub-systems of a vehicle, including radar sensors, ADAS sub-systems and embedded software. The VRTS’s flexible obstacle generation capability allows engineers to test the embedded software of radar and other advanced driver assistance systems through simulation of a wide range of environmental conditions. As a result, engineers can utilize the same measurement hardware for all phases of ADAS and radar system development.